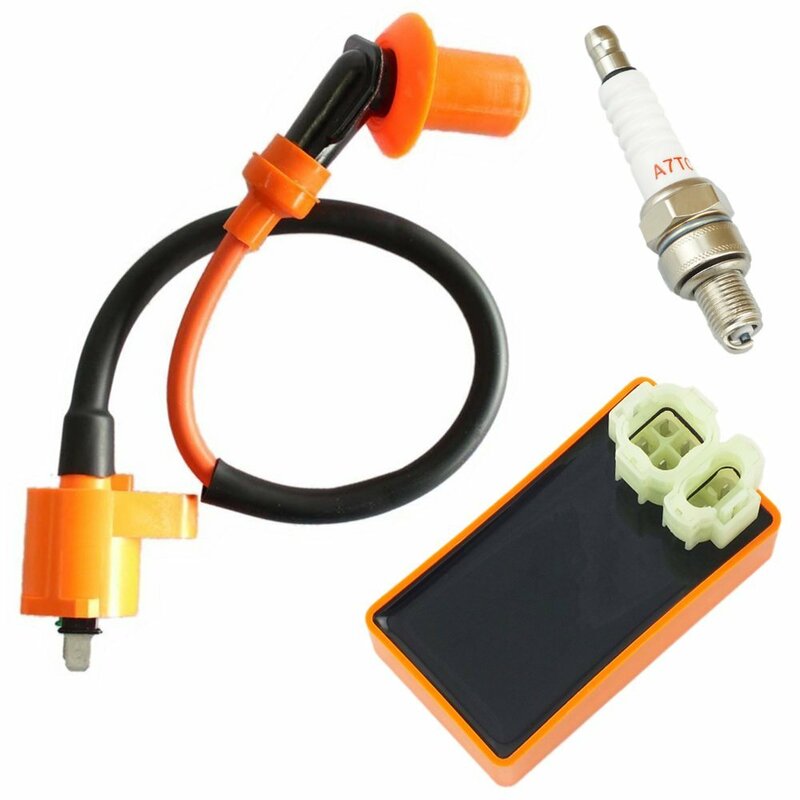 Ignition Coil Will Fit GY6 or GY6 Clone 125cc 150cc Engines GY6 QMJ/QMI157, QMJ/QMI152 engines. Fits ATVs, Mopeds and Go Karts. Roketa, Sunl, Baja, Kazuma, Carroll Stream Eagle, Taotao, Panterra, PRO Eagle, Kymco, Redcat Tank Giovanni Aimex Jackel Wildfire Xtreme Seaseng Qlink Yiben Jonway Jmstar, Vento, Tng. and Various unlisted makes/models.